The 80s and 90s were the dark ages of cocktails. Appletinis and fluorescent-colored shots ruled the day and well-made classics were hard to find. Thankfully, we’re now in the middle of a food and drink renaissance and today’s cocktail culture has reclaimed the art of drinking well. Over the last decade, quality and attention to detail have driven this return to craft, and distilleries have produced exceptional spirits and liqueurs to help raise the bar. Bitters have exploded from two old standards to dozens of quality producers, and freshly juiced citrus has become the only acceptable offering in any bar worth its drink. Behind it all, devoted bartenders have worked tirelessly to reestablish the craft of the cocktail. On the whole, we are all drinking better now than ever, and we have superior bartenders and ingredients to thank for this. In 2011, we noticed that something was missing. While high-end spirits, liqueurs and bitters meant that everyone could obtain most of what's needed to make better cocktails, there was still a problem for the discerning drinker. An entire ingredient category remained overlooked. No one offered quality cocktail syrups – the essentials required for hundreds of great drinks. Instead, artificially flavored corn syrups were peddled as substitutes, and anyone seeking an authentic drink was left wanting. We started Liber & Co. to fill this void. We aim to complete your bar so that you can enjoy dozens of excellent cocktails. 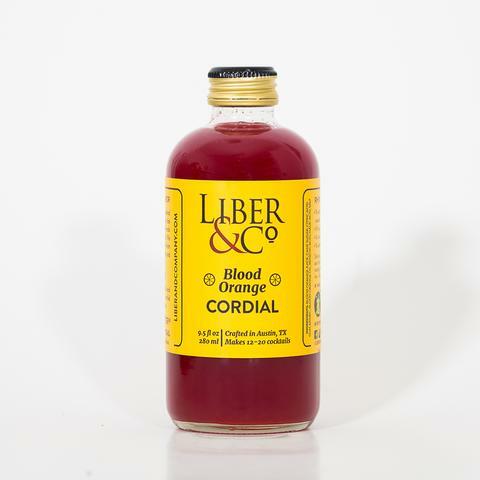 This Blood Orange Cordial is packed with fresh fruit flavor thanks to the one-two punch of blood orange’s fresh juice and cold pressed essential oil. We selected the Moro blood orange from California for its intense red color and unique notes of raspberry. 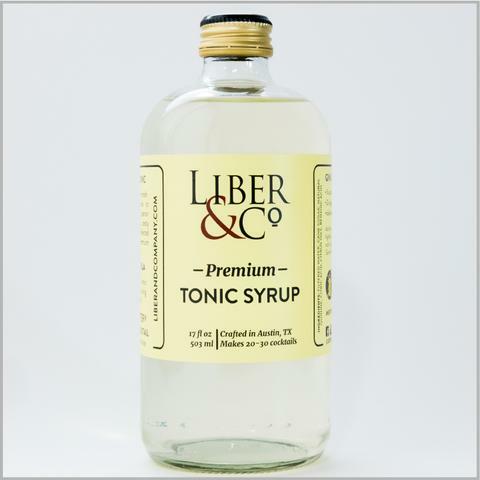 Our Premium Tonic Syrup is a refreshing, boldly flavored tonic made to enhance the classic gin and tonic. Superior ingredients including natural quinine, zesty citrus and pure cane sugar are selected to perfectly complement your premium gin or vodka. 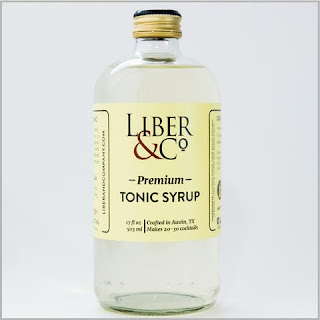 Premium Tonic Syrup is an uncarbonated concentrate. Top with club soda for a superior tonic water, or go beyond the G & T by using the tonic syrup in novel cocktails. A 9.5 OZ. BOTTLE MAKES ~ 12 GIN AND TONICS. Gum syrup has long been a staple ingredient in the world’s best cocktail bars. Gum syrup is a simple syrup combined with gum arabic, an all-natural emulsifier derived from African acacia trees. 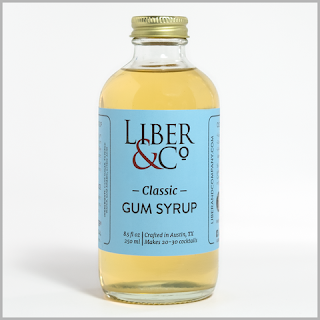 The addition of gum arabic lends the syrup a silky and more luxuriant mouthfeel when compared to a common simple syrup. It is a superior sweetener with incredible versatility. Our Classic Gum Syrup is a rich 2:1 simple syrup, meaning a little goes a long way. Try it in classics like the Old Fashioned or Sazerac, or with iced tea, coffee, or lemonade. Originally, grenadine was a pomegranate syrup used in drinks for it's tart, sweet flavor and intense red color. Today's mass produced grenadines are just high fructose corn syrup with artificial colors and flavors. 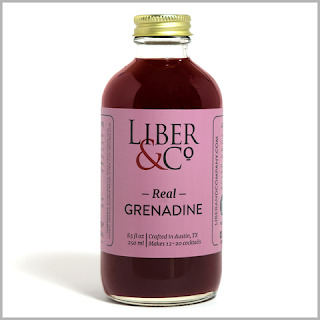 Our Real Grenadine stands tastefully apart - authentic in its ingredients and unrivaled in its flavor. Our cold-processing retains the fruits naturally fresh flavors and rich color. Pure cane sugar and orange blossom water lend this syrup great balance and an elegant floral aroma. Try it in classics like the Jack Rose or Tequila Sunrise. Orgeat is a must have for any cocktail fan! 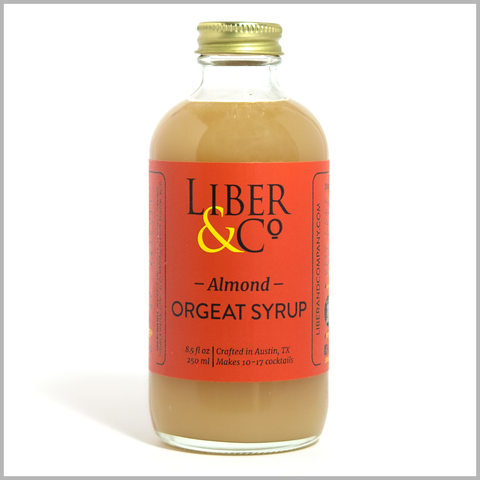 Liber & Co. orgeat begins with organic almonds that are blanched and roasted to bring out their toasted nut flavors. After grinding the roasted almonds into a perfectly smooth butter, we blend in cane sugar, orange blossom water and a touch of bitter almond oil for a distinct marzipan note. This is complex orgeat whose full almond character makes it indispensable at any well-stocked bar. The iconic orgeat cocktail is the Mai Tai.